SO…. WHAT ARE SKETCH COVERS? Great question! Sketch covers are actual comic books which have the book’s logo and technical specs…. and nothing else. The art is omitted so artists can draw their own art on the covers and sell the books to support the artist’s craft. This is an ingenious way for the comic book companies to get a small return from all the fan art sold at comic cons. Okay, What is Bristol Board? Chosing Bristol board gives you the opportunity to get the art as large as you want… or as tiny as you want. The bristol board I use on commissions is a pure white card stock which is an archive quality bond. If you have a frame picked out, just let me know the size you want the drawing to be! WOW! I WANT SOME COOL ART! I offer an investment! Just think if you had some sketch covers from Peanuts creator Charles M Shultz… you could probably sell it and retire on a ranch in the Texas Hill Country. That is my dream anyway…. 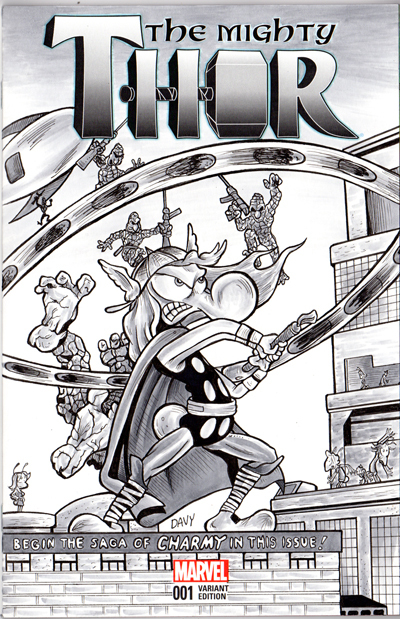 All sketch covers are professionally inked with industry standard pens. Once inked, the art is polished up with Copic Gray Markers. It’s my style! The result is one heck of piece of art. These things sell very well at my comic con appearances and look amazing when framed on your wall. No wall space? Well, they store perfectly with your other comic books! COOL! I WANT ONE! HOW DO I GET ONE? There are two ways to grab a sketch cover. 1. The first option is to attend a comic con at which I am attending. Look at my attendance link in the menu for show dates and locations and look me up at the show of your choice. 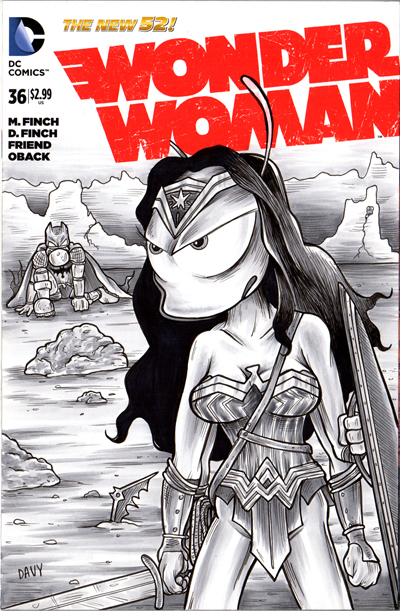 Contact me beforehand using the order form above, and commission a sketch cover for show pick up. Or you can just show up at the show and grab up one of the covers I created in advance for my appearance. 2. The second option is to order a cover and I will mail it to you. Again, just fill out the order form and I will send you an estimate. I do not send covers outside the United States at this time because of the high shipping fees. I WANT TO ORDER! WHAT DO I DO? It is so easy. Fill out the order form and I will send you a quote. Be sure and fill out the form completely. I will respond within 48 hours. Once I’ve contacted back with my estimate and funding info, just pay for your cover through my Paypal account and I will get your cover finished and shipped asap. I will estimate a time frame for shipping in the quote. This time frame will be based upon my show schedule, my newspaper deadlines and my other committed sketch covers. I try not to take more than a few weeks at the most. YES! And once I get into newspapers across the country, these sketch covers will be become more valuable. Think of this as a real investment in YOU and in ME! Thanks for your support of my dream.